Looking at a smooth sheet of plastic in one University of Illinois laboratory, no one would guess that an impact had recently blasted a hole through it. Illinois researchers have developed materials that not only heal, but regenerate. 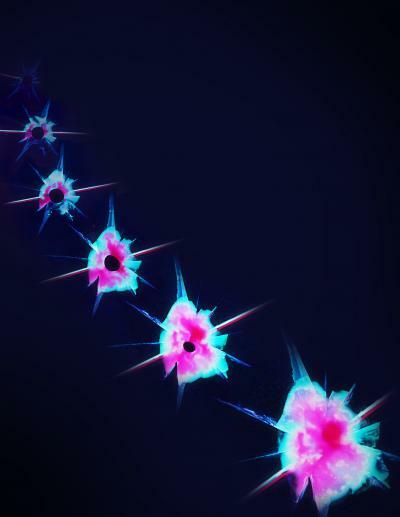 Until now, self-repairing materials could only bond tiny microscopic cracks. The new regenerating materials fill in large cracks and holes by regrowing material. Led by professor Scott White, the research team comprises professors Jeffry S. Moore and Nancy Sottos and graduate students Brett Krull, Windy Santa Cruz and Ryan Gergely. They report their work in the May 9 issue of the journal Science. "We have demonstrated repair of a nonliving, synthetic materials system in a way that is reminiscent of repair-by-regrowth as seen in some living systems," said Moore, a professor of chemistry. Such self-repair capabilities would be a boon not only for commercial goods -- imagine a mangled car bumper that repairs itself within minutes of an accident -- but also for parts and products that are difficult to replace or repair, such as those used in aerospace applications. The regenerating capabilities build on the team's previous work in developing vascular materials. Using specially formulated fibers that disintegrate, the researchers can create materials with networks of capillaries inspired by biological circulatory systems. "Vascular delivery lets us deliver a large volume of healing agents -- which, in turn, enables restoration of large damage zones," said Sottos, a professor of materials science and engineering. "The vascular approach also enables multiple restorations if the material is damaged more than once." For regenerating materials, two adjoining, parallel capillaries are filled with regenerative chemicals that flow out when damage occurs. The two liquids mix to form a gel, which spans the gap caused by damage, filling in cracks and holes. Then the gel hardens into a strong polymer, restoring the plastic's mechanical strength. "We have to battle a lot of extrinsic factors for regeneration, including gravity," said study leader White, a professor of aerospace engineering. "The reactive liquids we use form a gel fairly quickly, so that as it's released it starts to harden immediately. If it didn't, the liquids would just pour out of the damaged area and you'd essentially bleed out. Because it forms a gel, it supports and retains the fluids. Since it's not a structural material yet, we can continue the regrowth process by pumping more fluid into the hole." The team demonstrated their regenerating system on the two biggest classes of commercial plastics: thermoplastics and thermosets. The researchers can tune the chemical reactions to control the speed of the gel formation or the speed of the hardening, depending on the kind of damage. For example, a bullet impact might cause a radiating series of cracks as well as a central hole, so the gel reaction could be slowed to allow the chemicals to seep into the cracks before hardening. The researchers envision commercial plastics and polymers with vascular networks filled with regenerative agents ready to be deployed whenever damage occurs, much like biological healing. Their previous work established ease of manufacturing, so now they are working to optimize the regenerative chemical systems for different types of materials. "For the first time, we've shown that you can regenerate lost material in a structural polymer. That's the kicker here," White said, "Prior to this work, if you cut off a piece of material, it's gone. Now we've shown that the material can actually regrow." Moore, Sottos and White also are affiliated with the Beckman Institute for Advanced Science and Technology at the U. of I. The Air Force Office of Scientific Research supported this work.